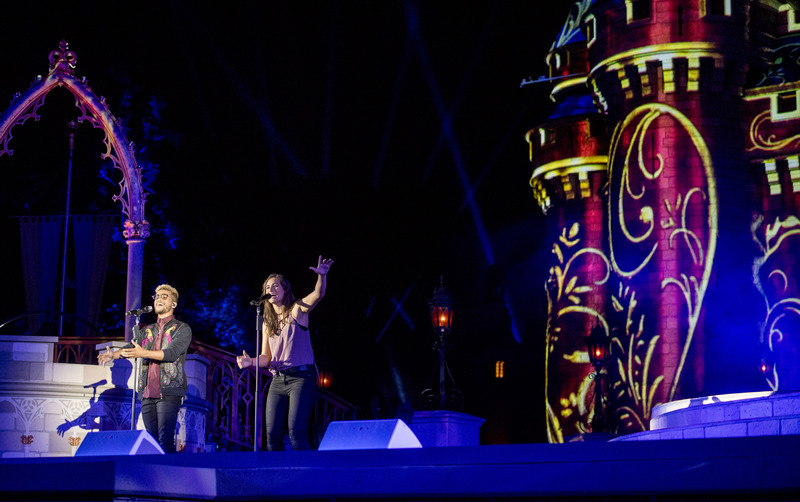 The vocal artists who brought the “Happily Ever After” title song to life, Jordan Fisher & Angie Keilhauer, surprised Magic Kingdom guests last night with a live rendition of the song. 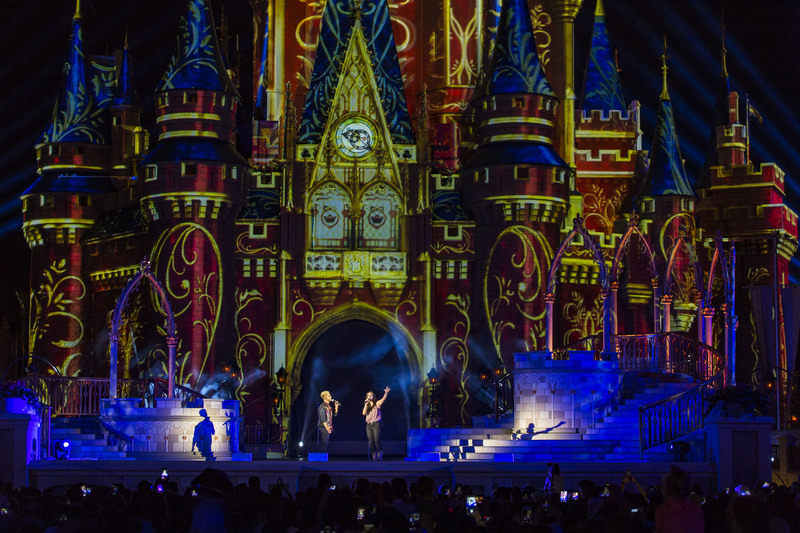 After the new Happily Ever After fireworks finished, the singers came to the Castle Forecourt Stage to perform live for guests and media on hand. Here’s our video of the full Happily Ever After fireworks show.